The federal government announced up to $60 million in funding Thursday to connect a remote northwestern Ontario First Nation to the province's power grid. Pikangikum First Nation, a community near the Ontario-Manitoba border, currently relies on diesel generators for electricity. 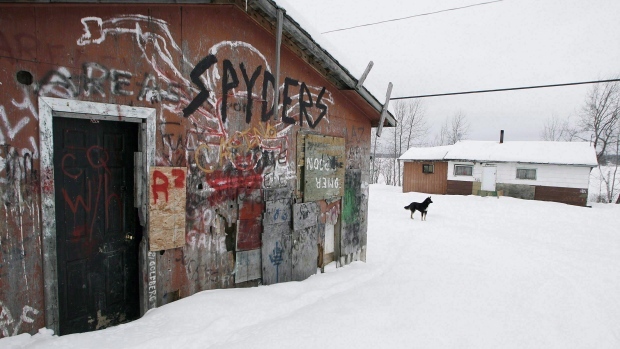 The reserve of some 2,300 people about 500 kilometres northwest of Thunder Bay, Ont., has had to grapple with several recent suicides as well as issues with substandard housing. Parts of the community have also been under a boil-water advisory for more than a decade. Pikangikum has a stake in Wataynikaneyap Power, a licenced transmission company owned by 22 First Nation communities who partnered with utility company Fortis with the goal of connecting 17 of its signatories to the provincial grid. On Thursday, Carolyn Bennett, Minister of Indigenous and Northern Affairs, said the government will provide up to $60.2 million in funding for Wataynikaneyap Power to build a 117-kilometre power line from Red Lake, Ont., to Pikangikum. "This is the beginning of a vision for the region," Bennett said in Thunder Bay, Ont. "Opening the door for better housing and future economic development will change the quality of life for the Pikangikum First Nation and bring hope to their community." Pikangikum's chief welcomed Bennett's announcement, saying the community looked forward to a constant source of power that would allow local services to operate normally. "We look forward to a safer and healthier future with power for heat and light on a consistent basis," Chief Dean Owen said in a statement. "Pikangikum can now move forward with infrastructure, economic development and community growth." Construction on the power line and other infrastructure is to begin in the fall, and is expected to wrap up within a year. The Nishnawbe Aski Nation, a group of 49 First Nations including Pikangikum, said being connected to the power grid will be healthier and cheaper for the community than relying on generators. "This is a significant step to help Pikangikum advance their community plan for growth and development," Grand Chief Alvin Fiddler said in a statement. NAN also called for additional investment from the federal government on housing, fire prevention, and clean drinking water in its communities.